Almost every artist should practice realism in some way. Drawing from life is ultimately how you develop raw skill and translate that into anything you wanna do: animation, concept art, you name it. But learning realism is very different from learning to illustrate or draw cartoons. It has a lot more to do with measuring and copying exactly what you see in front of you. With the right learning materials you can pick up realist work fast and that’s why I curated this massive list of books to get you started on the right track. George Bridgman is a revered artist and he’s published a handful of books on many different subjects. 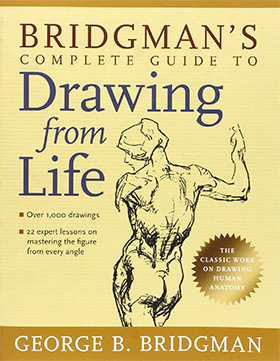 One of his most well-known books is Bridgman’s Complete Guide to Drawing from Life. This newest edition of the book actually combines 6 different books together into one volume. It comes with an amazing price and the lessons are truly actionable for anyone trying to understand life drawing. Each chapter includes all of Bridgman’s original sketches and visuals while including newer up-to-date qualities of the prints. This is the best copy of any Bridgman book you’ll find and it’s often a staple for many art colleges. Just note the digital/ebook version is terrible so it’s recommended that you go with a print copy if you want quality visuals. 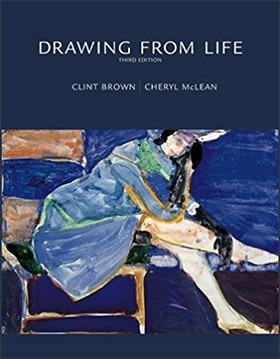 But this is definitely one of the most comprehensive books on life drawing you’ll find anywhere on the web. All of realist art is mostly just observing and copying accurately. This is quite an understatement because it’s certainly not that easy! But in the book How to Draw What You See you’ll learn valuable techniques for creating realistic drawings with both graphite and charcoal. This book starts with the absolute basics explaining forms, shadows, perspective, and even how to properly hold your pencil. A lot of this book actually walks the line of drawing from imagination where you’ll learn how to draw cubes, spheres, and cylinders by coping reference photos. But I still like this book as a realist study guide because the techniques carry over. This is true of most mediums because visual art is generally one all-encompassing topic with different methods to achieve similar end results. 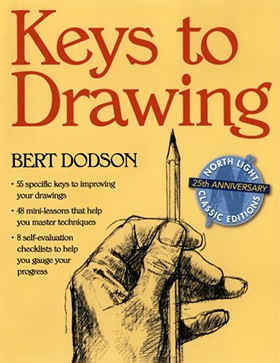 I am a huge fan of Bert Dodson’s Keys to Drawing. 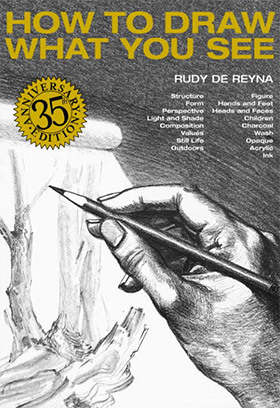 It has been around for almost thirty years and it’s still one of the best books for beginners to learn accurate drawing skills. When you first start drawing from life your work typically looks like scribbles. This is normal, and Bert’s book is perhaps the only one that tells you it’s okay to be messy at first. He includes a ton of visuals and step-by-step guides to help you understand the actual drawing process. I usually recommend this for novice artists just getting started but it can also be useful for artists who haven’t practiced drawing from life very much. If you’ve mostly just drawn cubes and shapes then you won’t be able to draw a chair or shoe from life. But by following these exercises you’ll learn how to approach anything from life and copy it accurately every time. 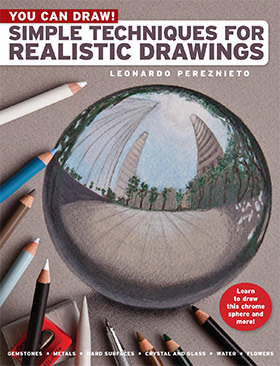 An absolute must-read book for anyone getting started with realist art. The smaller details of rendering often come down to the type of pencil and quality of paper. This is why pencil drawings can vary so much, and it’s also why I recommend drawing in sketchbooks with a little texture on the page. Drawing Realistic Textures in Pencil is your ultimate guide to rendering accurately in graphite. This book goes into every type of texture including glass, plastic, metal, wood, hair, you name it. All the materials are covered in the very first chapter so you’ll know exactly what you need to get this working. From there you can work through each lesson step-by-step or jump around using the index to find lessons that interest you the most. What I like most about this writing style is how it’s super approachable. Anyone can pick up this book and work through it, plus these exercises are worth practicing many times over so this book is fantastic to come back and reference in the future. Realism is defined by the details and how much effort you put into rendering. But rendering is just a fancier way of saying lights & shadows, both of which are kinda the same topic but work differently on the page. 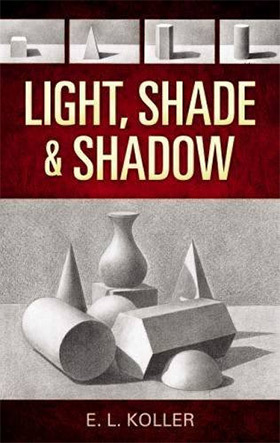 Light, Shade and Shadow is a cheap guide for realist artists and illustrators/cartoonists. This book talks about the value of light and how the depth of value greatly affects your piece. Realist art is about re-creating life but often includes a certain style or depth. Value choice is a huge part of this process when you’re working with black & white. This book offers some handy tips on shading and how to think about value in your work. Some sections also cover basic shading on volumes like spheres and cylinders. This is more pertinent to cartoonists who construct forms out of their imagination. Either way this book is a great read for anyone struggling to reach believable values in their pencil drawings. I adore this title but it isn’t for the faint of heart. 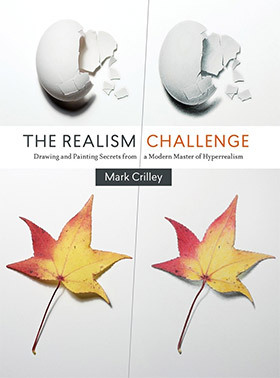 The Realism Challenge by Mark Crilley offers a series of exercises to help improve your realist techniques for recreating life on the canvas. You’ll need to have a decent amount of experience with traditional work, preferably oil or watercolor painting. Each lesson aims to push you outside your comfort zone by approaching realism with the goal of hyperrealism. Most concept artists do not need hyper realistic work. But there is a need to understand realism so you can design paintings that actually feel believable. This book teaches a lot about shadows, forms, and color selection with realist painting. The information is incredibly valuable but it does expect the reader to have some traditional experience, so if you’ve never done any classical painting you may want to start elsewhere. 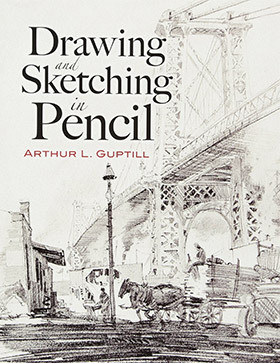 Drawing and Sketching in Pencil by Arthur Guptill offers a concise series of instructions for tackling pencil drawing. It’s certainly not the tome of pencil work but it does have a lot of advanced techniques that can bring your artistic skill up to the next level. The book is sizable with 210 pages and just over a dozen chapters. 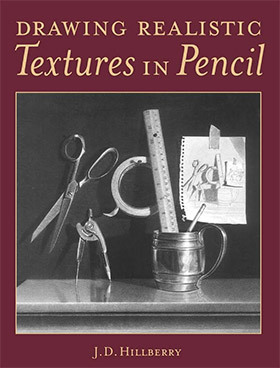 The author discusses many styles of pencil drawing with chapters on life drawing and cast drawing, both of which are valuable exercises for realist artists. Later chapters get into constructing drawings from reference photos and how to bring your values into the work. From rough sketching to finished pencil pieces, this book has advice for everything on every subject matter. I’d say this works best for semi-experienced artists but you can learn a lot even as a beginner. This is a book you’ll reference frequently during your artistic career so it’s a title you might keep on your bookshelf for years to come. The old masters had a brilliant way of teaching art and that style lives on with ateliers. Many fine artists study at these academies because they offer the best type of training for professional realist art. 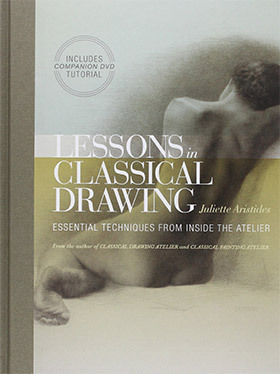 Author & artist Juliette Aristides covers this curriculum in her book Lessons in Classical Drawing. It spans 208 pages and includes a bonus DVD with video footage of her practice time studying in Italy. If you want to improve your realist work then studying at an atelier is a great idea. But if you don’t have the time/money then Juliette’s book is the next best option. Each chapter covers a series of lessons starting from the basics of materials, setup, measuring, line work, and doing master copies. Later chapters get far more detailed with exercises on value, tone, and capturing more specific details like human anatomy. Remember that no single book can make you a great artist. Only consistent practice can do that. But sometimes you need a nudge towards what to practice and this book offers far more than just a nudge in the right direction. Drawing from Life is more of a traditional figure drawing book with an emphasis on realism. Most professional artists agree that drawing the human figure is a necessity to improve your skillset. Everyone has a different method of life drawing, but ultimately the goal is to improve your overall understanding of capturing life. Realist artists need to do a lot of life drawing because it teaches everything you use in every type of visual art. This book goes far beyond the basics with 270 pages of tips, techniques, and exercises you can practice in the figure room. 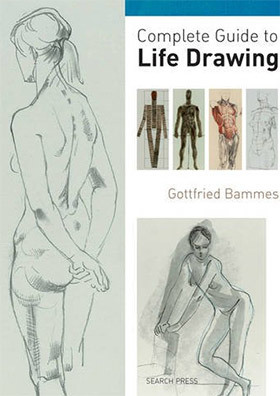 You can follow many different approaches to life drawing and this book captures mostly all of them. It’s a pretty nice resource to keep near your workstation and use as a reference during model breaks. This is one of the newest books in my list written by fine artist Leonardo Pereznieto. You Can Draw! follows 18 specific projects from start to finish aimed at anyone from novices to more experienced artists. The very early exercises talk about color, material choice, design style, and how to work with shading to create a realistic effect on the page. Every chapter places a heavy focus on life drawing with the ultimate goal of realism. If you can express realistic ideals in your work then you’ll learn a lot from this book and take these exercises with you for years. The title of this book may see like hyperbole, but in many ways this is a complete guide to all beginner aspects of life drawing. Over 300+ pages you’ll learn how to set up and structure your life drawing work to get the most out of each session. The Complete Guide to Life Drawing simplifies anatomy and the figure so you learn exactly what to look for, and more importantly what to put down on paper. Many of these techniques rely on construction first so you’ll learn how to block in certain areas of the figure fast. This is not the only way to draw, but it is the most relevant for beginners learning realism along with cartoonists or illustrators who don’t do much realism in their primary work. Definitely a nice read for any aspiring entertainment artists or anyone just starting with realist drawing. Any of the books in this guide should prove useful on the quest to improve your realist skills. Some artists spend decades practicing realism so you can’t expect to become a maestro overnight. But with enough practice and the right learning materials you can make huge strides in just a few months of consistent work.